Good updates JD! I have wondered how the 'older' apartments are fairing - tenant wise, rent wise, amenity wise, etc - as compared to the new competitors. I am, as always, thrilled that those two projects are getting underway...though with Parc phase II also ongoing, this corner of JDland is a bit of a mess. And I imagine that Two Hill South will start before these new ones are completely done. Did the tenants make an attempt to buy the building? I'm a bit unclear about what TOPA was used to do here. In coffee related news, I stumbled across a WBJ article from a few months ago that Joe & the Juice is rumored to be coming to the Bower. Sorry if this was already known, I don't recall seeing it in past threads. @jdc - One of my friends just moved into 70 Capitol Yards a few months ago when she found a great deal on a 1-bedroom there. One point does not make a dataset, but I wouldn't be surprised if the new and high-end units are resulting in the "older" buildings holding rent steady (or even lowering) to compete with the shinier offerings elsewhere in the neighborhood. I didn't realize a 4th St closure was coming although I suppose it makes sense. I wonder if they'll need to retime the light at 3rd, which in addition to holding the highway entrance will also be the only southbound street between NJ and 7th. It looks like the entire southeast side of south cap will be developed before anything gets started on the southwest side. @SayWhat--- say what? There is already construction activity for 1900 Half Street SW and another residential building adjacent to Audi Field. 1. Construction activity for 1900 Half Street SW? That used to be a Homeland Security building - I thought they still had a small presence there. What's going on there? 2. Residential building adjacent to Audi Field? Where is this? There's a new power company transformer building bounded by 1st, 2nd, Q and R. Is there some other development near Audi Field? The area surrounding Audi Field is going to go through a dramatic transformation in the years ahead-- similar to the growth seen in the Capitol Riverfront over the past decade. According to The Collective leasing staff (in the 12Twelve, Twe12lve, or Twelve12 — whatever) the name of the apartment building going up on Parcel L west of the Foundry Lofts will be the Estate. The Collective will inevitably handle Estate rentals, as well as for the Guild, south of 4th & Tingey. ————————— Sending bushels of pre-op speedy recovery vibes your way, JD. Any word on the movie theater project on the grounds where WASA now has a building? A couple of tidbits from the meeting tonight, there will NOT be any retail in the Paradigm building. They are also in the process of acquiring the rest of the block for a "Phase 2" where the school and cab place are that would not start construction until after Phase 1 is complete. The school has inked a lease through the end of next school year (ending in mid-2019). @spuritequality: Check JD’s 1/30 post in the Wiseguy thread. WASHINGTON, DC (January 31, 2018) – Onyx on First, a 266-unit Class A residential high-rise community located at 1100 1st Street, SE in the Capitol Riverfront neighborhood, welcomed Urban Investment Partners as their new building owners and managers on January 25, 2018. The completion of the sale marks the end of a one-year process in which the residents of Onyx asserted their Tenant Opportunity to Purchase Act (TOPA) rights to have a voice in the ownership and management of their residential community. The $95.5 million purchase price marks one of the largest tenant-led TOPA sales in District history. Onyx residents received notice in December 2016 that the building would be sold, and residents quickly formed the Onyx Tenants Association (OTA) to take control of the sale process. Together, they sought the counsel of Eric Rome of Eisen and Rome, PC, to help bring additional buyers and development partners to the negotiating table. The result was a competitive bidding process where Onyx residents were the clear beneficiaries. The OTA determined their key objectives for the sale: preserve the unique community-feel of the building including key staff members, bring new upgrades and features to the building that will improve the quality of life and living experience for all residents, and ensure rent remains competitive for the thriving Capitol Riverfront neighborhood. "Through the TOPA process, we ultimately found a terrific, locally owned and operated development partner - Urban Investment Partners. UIP will be bringing incredible value to the residents of Onyx on First in the form of numerous additional and improved building amenities, the retention of key staff members, and a competitive rent rate agreement with existing residents. UIP committed to addressing each and every item that we asked for as residents during the TOPA process and then some. We look forward to partnering with UIP to see all of these wonderful improvements come to fruition." Onyx residents will continue to see their favorite staff members and can look forward to new building upgrades beginning in the coming months. so 70/100 Capitol Yards have 700 units, per JD's map. So whatever square 696 is called would be the largest. I wonder what shape they'll go for - circle/square, with a fantastic inner courtyard? Or maybe a figure 8, with two inner courtyards? That much space for an amenity may be suitable for basketball courts, beach volleyball, etc. Multiple buildings, I would guess. Might be more like The Collective. @Bradley Herring Good strategy hope it works out that way for me if not you might have a new neighbor. Thanks for the TOPA info, JD! @JDC I live in one of the capitol yards buildings and when Commissioner Fascett met with us the current building plan for the Tishman plot is basically 2 U shaped buildings with a street/walking path between it (think City Center). It'd look like < >, where they face each other. There was a community meeting at Onyx on Tuesday but I didn't go so I have no further details on what was shared there. Anyone happen to go and able to give us the cliffs? Also, the rates for the Capitol Yards buildings right now are obviously quite good, but anyone moving between November/February will get pretty decent rates. Interesting about the Onyx sale, I know JP Morgan at one point last year was trying to sell all 3 of the Capitol Yards buildings. I wonder if the tenants will try and form an association like Onyx. Thanks for the report, Snacks! @202 will be thrilled to know that two tower cranes should be coming to Yards Parcel L before too long. Does anyone know the long-term plans for Parcel Q? I noticed that it doesn't have its own page in the JDland project directory. I also heard recently that the Navy was planning to move the Navy Museum somewhere near Parcel O/Q so that it could be accessible to the public without visitors having to enter the actual base. I have no idea how true that is. @Snacks - I would be happy to assist interested residents at Capitol Yards with organizing a TA, in response to a TOPA notice, like we did at Onyx. And yes, I have also heard that JPM is preparing to sell the Capitol Yards properties in the near future. The meeting about the Tishman lot is being held tonight 6:30pm at 100 Capitol Yards. There aren't many other full-block assemblages in JDLand. The other is the Collective, which will have 1,165 units across three buildings. 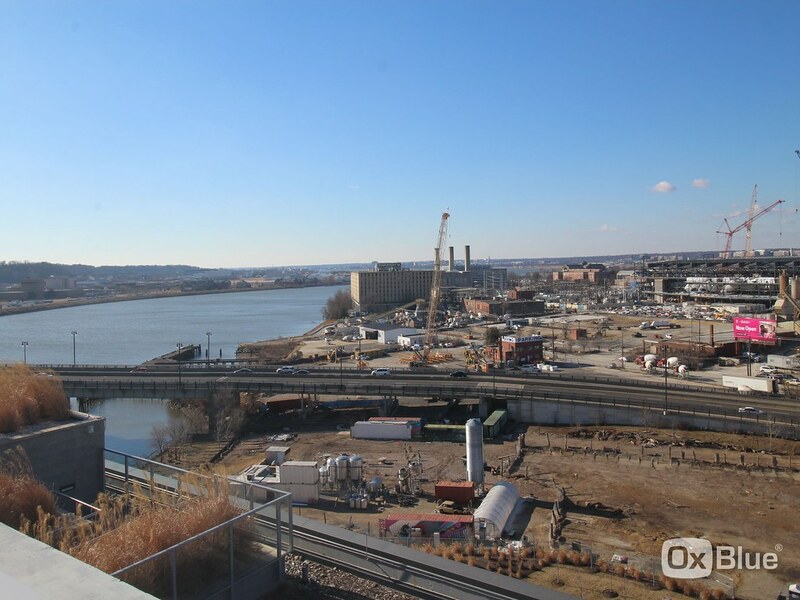 The Yards will be around 800-900 units once Parcel O is finished. For context, most of the full-block complexes in Southwest have around 400-500 units, which tend to be larger (more townhouses, larger rooms in the flats). In other news, I have been terrified to get a new desktop computer because of my fears that my crazy home-brew photo organizing system for my Hood photos would not be able to be reconstituted on a new machine. And then on Tuesday, my *eight-year-old* box made the decision for me. Happy to say that it only took about a half-hour to get the photo stuff working. Maybe I won't wait eight years next time. @RMP re Parcel Q: I always thought it was obvious that waterfront condos requiring Powerball money would eventually go there after PN Hoffman sold everything in the Bower. What about 71 Potomac construction? And does anyone know when Dacha open :) ? There was some discussion about 71 Potomac in the comments to a previous post. It looks like there has recently been some preliminary construction activity at the site. @cjbabydaddy Thanks for the tip in where to look for movie theater info. Hope they get that easement soon!